Sailing Scenes | WHICH HAT ARE WE WEARING TODAY? WHICH HAT ARE WE WEARING TODAY? 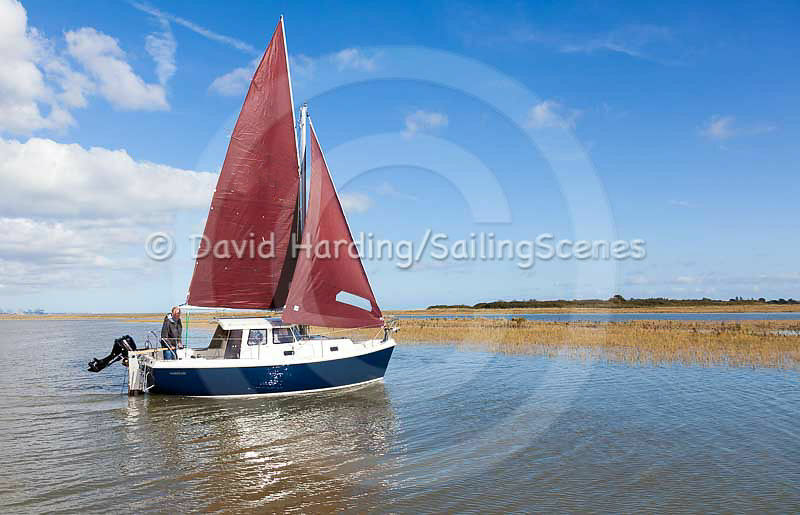 October has got off to a busy start for Sailing Scenes. 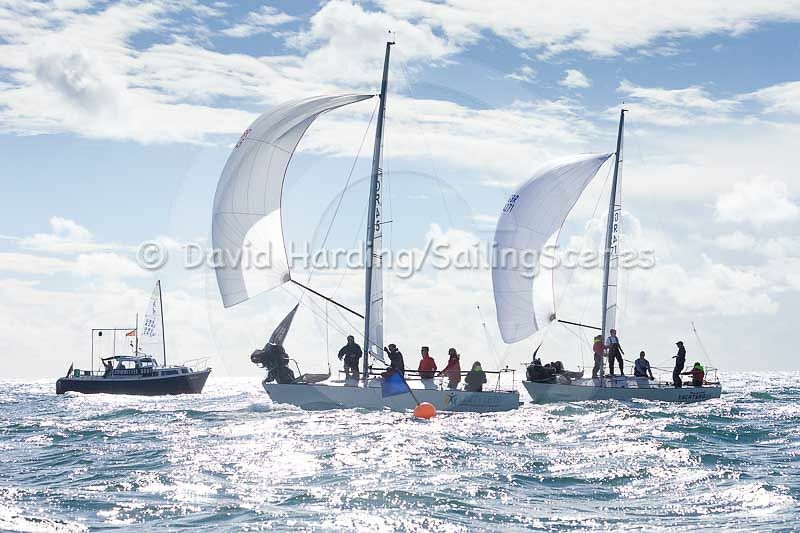 On Saturday 1st we were in Poole Bay, photographing the J/24s’ Autumn Cup. 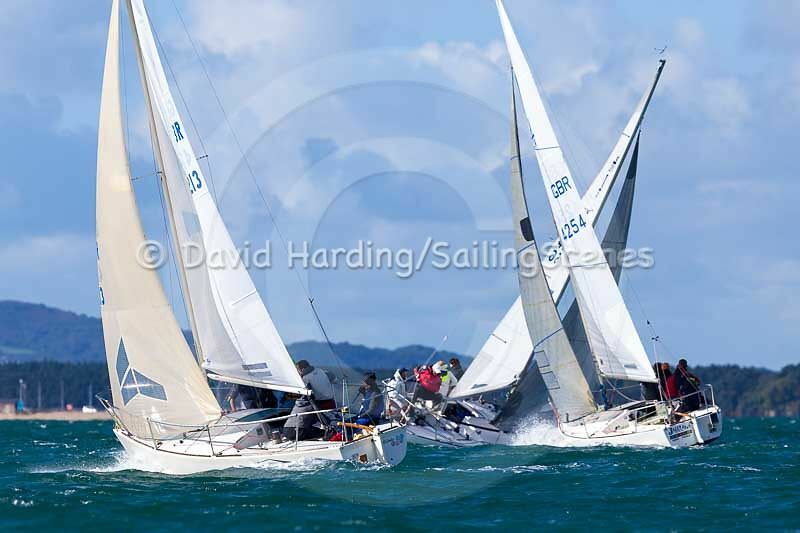 Now it must be enshrined in the constitution of some clubs and classes that members (and crew) shall not buy photos of their boats, and that undoubtedly applies to the J/24s. 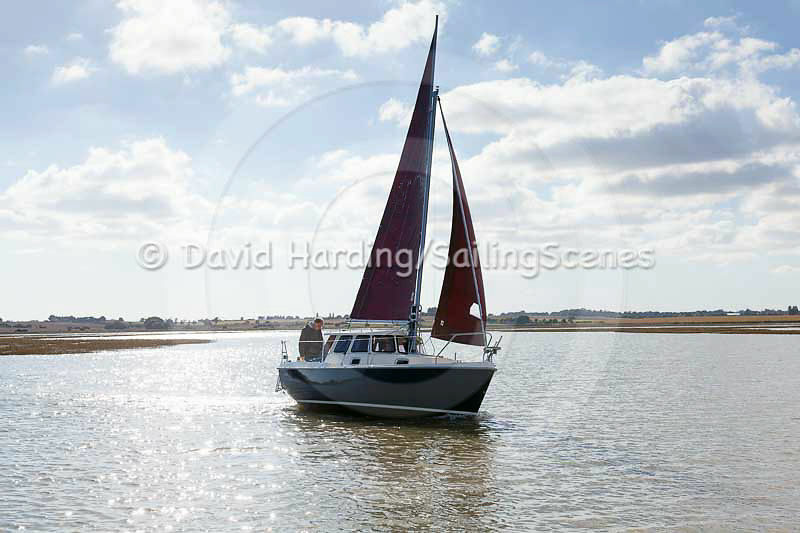 So we never expect to sell to people within the fleet, but good shots taken on a bright and breezy day will always find a home somewhere. 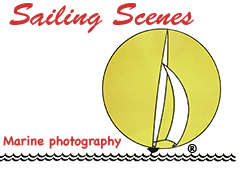 It was all change on the Sunday, when we put on our Practical Boat Owner’s Sail Clinic hat and drove to the east coast to help an owner who was having trouble getting his 18ft cruiser to go. 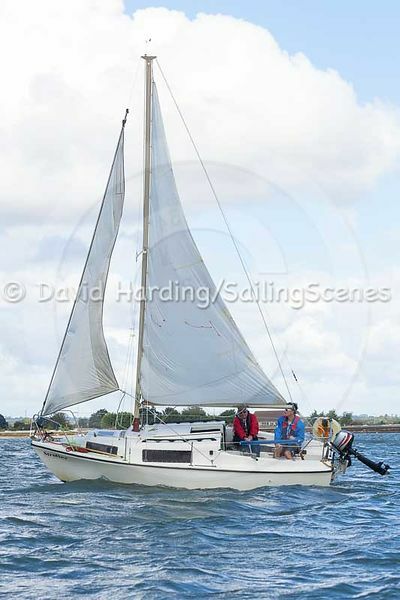 The sails were well past their prime and the rig was all over the place, so we spent an intensive three hours at the top of the tide (before the water gave way to mud) doing what we could to improve matters – and, of course, taking before-and-after photos too. Having driven all that way, we headed even further east the following day to one of the most remote and scenic spots in that part of the world to test a new boat that’s unlike anything else you can buy. 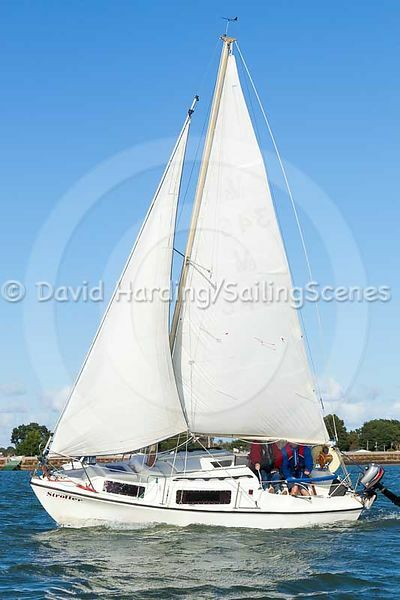 It’s not big, swish, beautiful or even particularly fast, but it’s fun, versatile, highly practical and perfect for exploring the peaceful and stunningly beautiful backwater where we sailed. It will be the subject of a new-boat test in PBO. So it was three very different subjects in three days, involving wearing the hats of yachting photographer, rig-and-sail tweaker and boat-tester – sometimes all three at the same time. It’s one way of trying to earn a living.